Space activities in the country started during early 1960s with the scientific investigation of upper atmosphere and ionosphere over the magnetic equator that passes over Thumba near Thiruvananthapuram using small sounding rockets. Realising the immense potential of space technology for national development, Dr. Vikram Sarabhai, the visionary leader envisioned that this powerful technology could play a meaningful role in national development and solving the problems of common man. 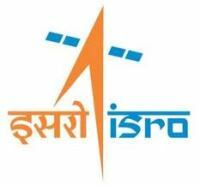 The Indian Space Research Organization in its modern form was created by him in 1969.This body took control of all space activities in the Republic of India. ISRO has successfully operationalised two major satellite systems namely Indian National Satellites (INSAT) for communication services and Indian Remote Sensing (IRS) satellites for management of natural resources; also, Polar Satellite Launch Vehicle (PSLV) for launching IRS type of satellites and Geostationary Satellite Launch Vehicle (GSLV) for launching INSAT type of satellites. The Indian space program was driven by the vision of Dr Vikram Sarabhai, considered the father of Indian Space Programme. "There are some who question the relevance of space activities in a developing nation. To us, there is no ambiguity of purpose. We do not have the fantasy of competing with the economically advanced nations in the exploration of the moon or the planets or manned space-flight. But we are convinced that if we are to play a meaningful role nationally, and in the community of nations, we must be second to none in the application of advanced technologies to the real problems of man and society"
Dr K. Radhakrishnan took charge in October 2009 of the triple posts of the ISRO Chairman, Secretary of the Department of Space and Chairman of the Space Commission. 5 Aug, 2011 : Meet ISRO’s ‘Space Girls. As Project Director, Mission Director and Operations Director, T K Anuradha, Pramoda Hegde and Anuradha Prakash, saw their baby (GSAT-12) take its first steps into space and are confident it will soon make them proud. 2 Aug,2011 : ISRO Building India’s Space Shuttle In Kerala.NDTV reports that ISRO is building India’s own space shuttle at a secret facility in Kerala. The Kerala facility currently has a prototype of the shuttle and ISRO believes that they’ll be able to build the final shuttle very soon. Technically, the space shuttle is called re-usable launch vehicle. The first few flights of the Indian space shuttle will be vertical, like a rocket. The shuttle will be dropped into sea during the test flights. 23 July,2011 : ISRO mulls delaying moon mission, may opt for foreign tie-up. One of the key requirements for such a mission is a launch vehicle with high reliability - one with a risk factor as less as one in 100. The crew escape factor should be even better and the tolerable risk factor must be one in 1000. An upgraded version of the Geosynchronous Satellite Launch Vehicle - GSLV Mark II - could take a two-member crew to space. But the two failures of GSLV last year have come as a blow to the Indian space agency.